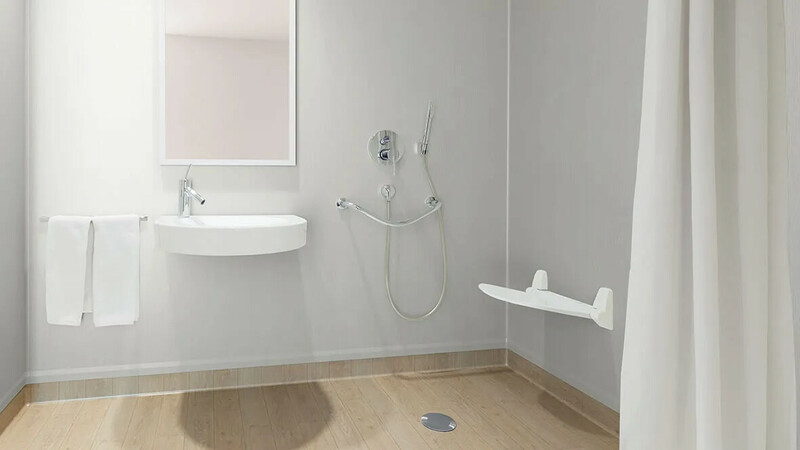 Forbo offers a complete wetroom solution with it's Onyx vinyl wall coverings and Step safety flooring. Step is a particle enhanced slip resistance flooring that provides lasting protection and optimal hygiene. 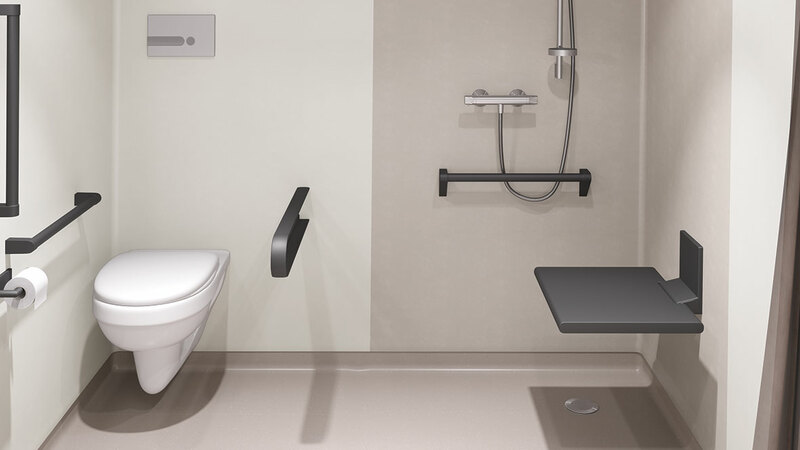 Onyx+ offers a smooth, hygienic wall surface in contemporary colours. 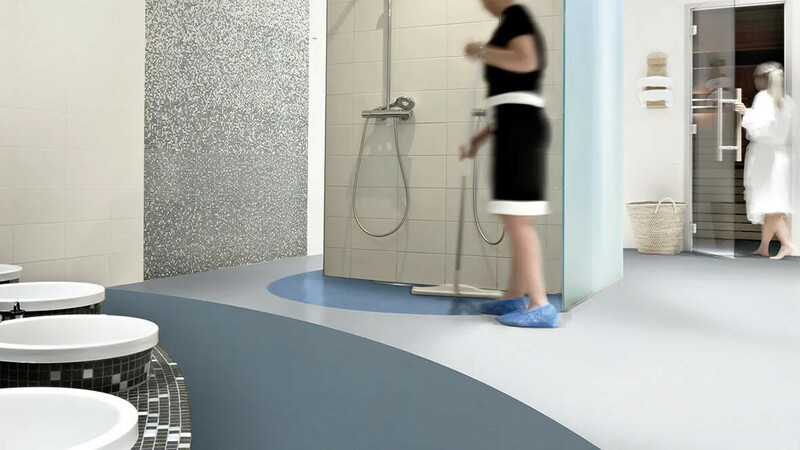 Perfectly suited for commercial wetroom applications such as spa's, pools, changing rooms and wetrooms of health facilities. 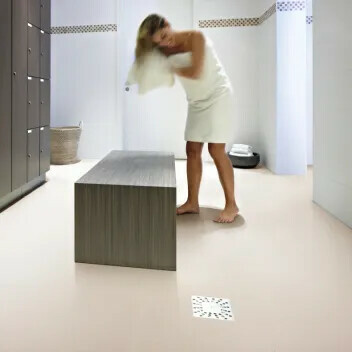 Surestep Laguna safety flooring is developed for use in continuously wet areas where barefoot traffic is the standard, or a combination of barefoot and footwear traffic occurs. 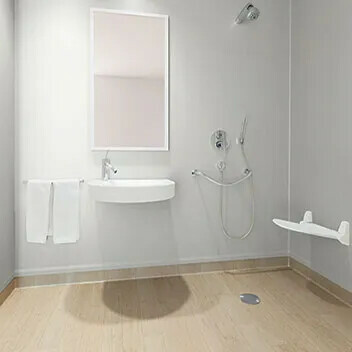 It is therefore especially suited for areas like changing rooms in combination with footwear and bathrooms in combination with footwear. 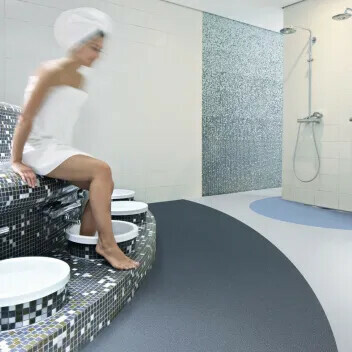 This modern, organic floor covering with a new and unique embossing shape is designed for continuously wet areas where barefoot and soft soled shoes traffic occurs. Ideally suited for spa’s, showers and swimming pool areas.